The sun has set; the sky is dark. Bright starts shine in the night. then wake with morning’s light. The animals will slumber, too. Some near, some far away. How will they settle down to sleep? Each has a special way. 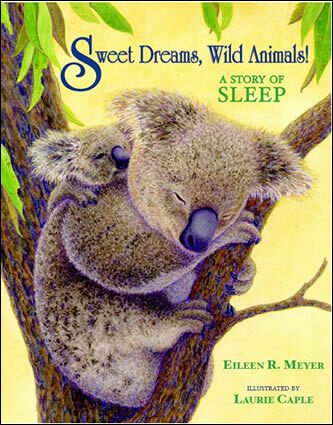 Fourteen animals, including the cuddly koala, the hairy anteater, and the wise owl, are featured in Eileen Meyer’s lyrical bedtime story about the unusual ways that animals sleep. Natural history notes explain how each animal sleeps, from the magnificent frigatebird that naps while flying hundreds of feet above the sea to the walrus that sleeps with its tusks anchored in floating ice. 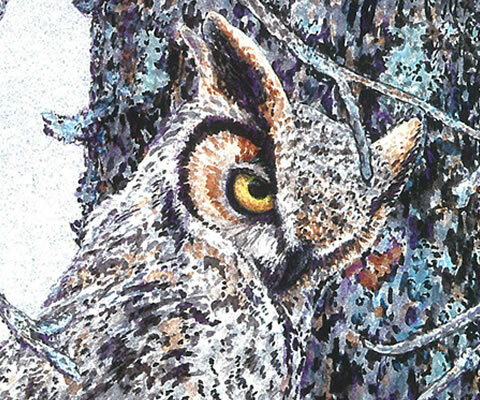 Illustrator Laurie Caple captured these dozing animals in whimsical watercolors that will help any weary child fall to sleep with a smile.